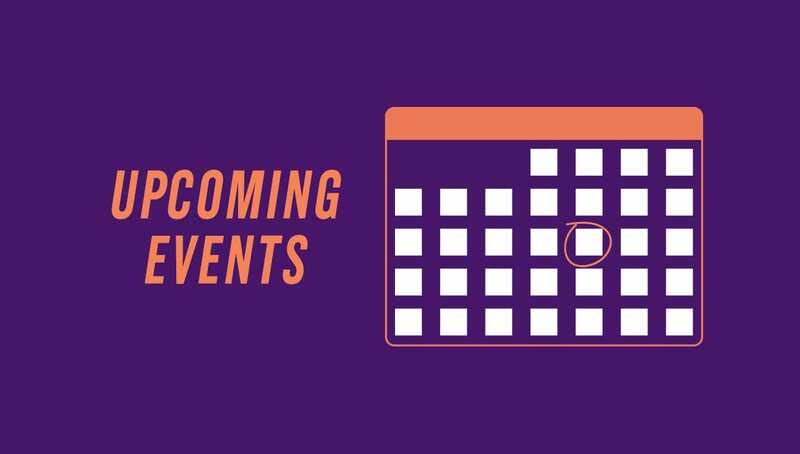 The University of Scranton announces calendar of events for November 2018. Through Nov. 16 Art Exhibit: “America in a Trance: Photographs by Niko J. Kallianiotis.” Hope Horn Gallery, Hyland Hall. Free during gallery hours. Call 570-941-7624 or email darlene.miller-lanning@scranton.edu. Nov. 2 5 p.m. Gallery Lecture: “America in a Trance: Panel Discussion” presented by Niko J. Kallianiotis, exhibiting artist, Luke Wynne, essayist, and Seamus McGraw, essayist. Pearn Auditorium Brennan Hall. Reception follows at the Hope Horn Gallery. Free. Call 570-941-7624 or email darlene.miller-lanning@scranton.edu. Nov. 2 7:30 p.m. Henry George Lecture: “Should We Embrace Protectionism? The Evidence Behind the Case for Free Trade” presented by Dave Donaldson, Ph.D., professor of economics, MIT. McIlhenny Ballroom, DeNaples Center. Free. Call 570-941-4048 or email Janice.mecadon@scranton.edu. Nov. 4 9 a.m. Open House for prospective students and their families. John Long Center. Registration required. Free. Call 888-SCRANTON or email admissions@scranton.edu. Nov. 6 7:30 p.m. The Weinberg Judaic Studies Institute Lecture: “Homosexuality: A New, Yet Traditional, Perspective” by Rabbi Chaim Rapoport, author, educator and Judaic scholar, with University of Scranton theology professor Charles Pinches, Ph.D., providing commentary on the Christian perspective. PNC Auditorium, Loyola Science Center. Free. Call 570-941-7956 or email marc.shapiro@scranton.edu. Nov. 7 Noon. Schemel Forum’s Munley Law World Affairs Luncheon Series: “Going to War: Who Calls the Shots?” presented by Morey Myers, L.L.B., of counsel, Myers, Brier and Kelly. Rose Room, Brennan Hall. Registration required. Fees vary. Call 570-941-6206 or email alicen.morrison@scranton.edu. Nov. 10 7:30 p.m. Performance Music: “In Concert” featuring The University of Scranton Symphonic Band. Houlihan-McLean Center. Free. Call 570-941-7624 or email music@scranton.edu. Nov. 13 Noon. Schemel Forum’s Munley Law World Affairs Luncheon Series: “Cybercrime: A Global Weapon of Mass Destruction” presented by Michael Greenberger, J. D., founder and director, University of Maryland Center for Health and Homeland Security. Rose Room, Brennan Hall. Registration required. Fees vary. Call 570-941-6206 or email alicen.morrison@scranton.edu. Nov. 15 7 p.m. Asian Studies presents “Live Asian Shadow Puppet Show” with live music, a Q & A and a backstage visit. McIlhenny Ballroom, DeNaples Center. Free. Call 570-941-6312 or email ann.pang-white@scranton.edu. Nov. 15-17 8 p.m. Thursday and Friday, 2 p.m. and 8 p.m. Saturday. “I Love You, You’re Perfect, Now Change” presented by Liva Arts Company. PNC Auditorium, Loyola Science Center. $5. Call 570-941-7401 or email Allison.northrop@scranton.edu. Nov. 15-18 8 p.m. Thursday, Friday, Saturday; 2 p.m. Sunday. “The Beyoncé” by Eliza Bent presented by The University of Scranton Players. Royal Theater, McDade Center for Literary and Performing Arts. Fees vary. Call 570-941-4318 or email players@scranton.edu. Nov. 16 7:30 p.m. Performance Music: “In Recital” featuring The Andrew Gonzalez Trio with Andrew Gonzalez, viola; Bixby Kennedy, clarinet; Carlos Avila, piano. Houlihan-McLean Center. Free. Call 570-941-7624 or email music@scranton.edu. Nov. 17 7:30 p.m. Performance Music: “In Concert” featuring The University of Scranton String Orchestra with guest soloist Andrew Gonzalez. Houlihan-McLean Center. Free. Call 570-941-7624 or email music@scranton.edu.